Ashampoo WinOptimizer is a complete suite to optimize your PC for a better and faster performance. 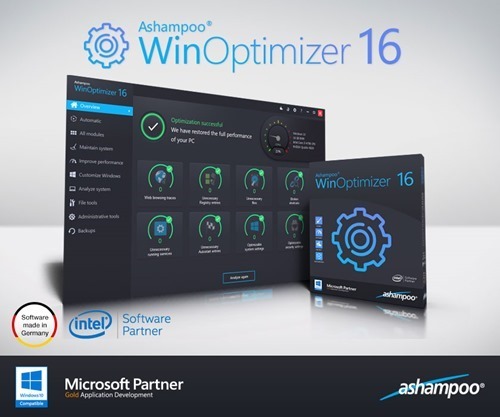 This Ashampoo WinOptimizer 16 includes many handy tools which will help you to improve things even if you do not have technical knowledge. 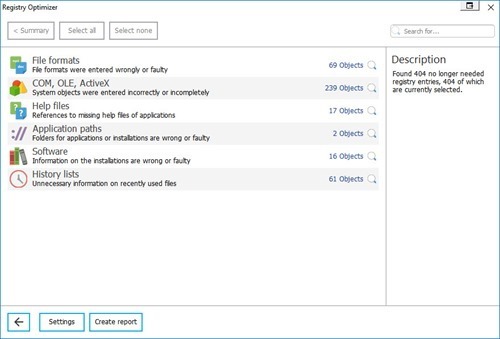 WinOptimizer is a proven tuning suite for Microsoft Windows. 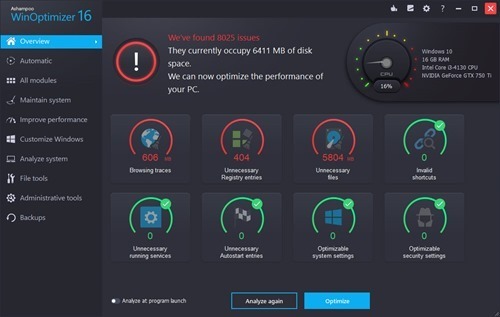 The various cleaners that eliminate web browsing traces, temporary files, uninstallation leftovers and junk files are among its most popular features. Modules like Antispy and Privacy Control safeguard user privacy and prevent unwanted sending of telemetry information to let users decide what information is shared and synchronized. 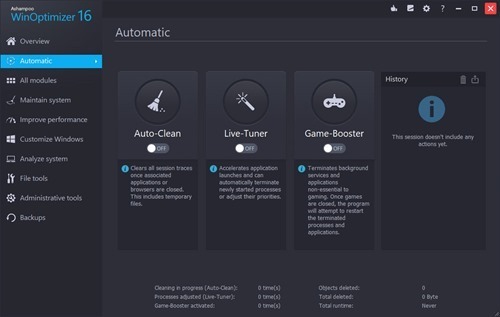 Three intelligent auto-features keep systems clean, speed up program launches and enhance gaming performance. Furthermore, the Windows Registry is cleaned, auto start entries optimized and invalid shortcuts deleted to improve overall system stability and performance. 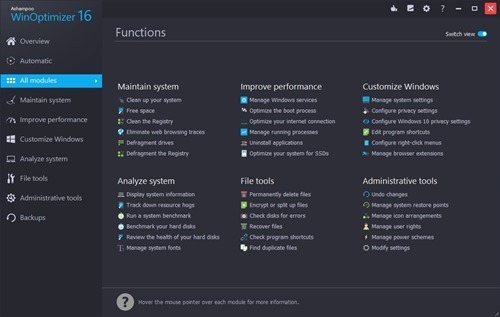 Multiple system analysis tools provide a detailed look at installed hard and software components and the tweaking module has been improved with even more Windows customization options. Energy Manager has been added to the suite to help users conserve power and battery life. Browser Extension Manager handles browser extensions of all common browsers across user accounts and provides a quick way to uninstall unwanted add-ons. 80 new and faster components included in this suite. 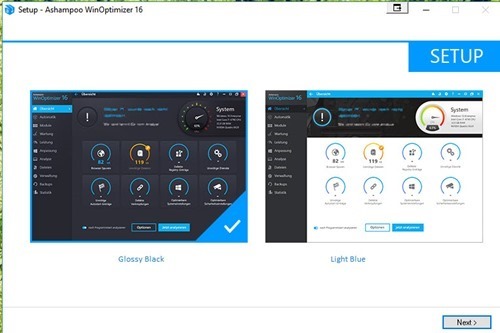 Installation of the product is straight forward and at the end of the installation you can choose the theme, where you can choose Glossy black or Light Blue theme. This application offers a 10 days trial version which will not have any other limitations, if you are ready to submit your email address you can get an extension of 20 more days. 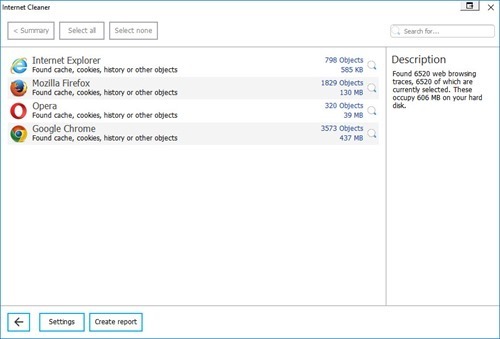 One click optimization helps to clean the unwanted things such as browsing traces, unused registry entries and unnecessary files. It also fix registry entries. You can either use the one-click optimization or section which are specifically doing these things. optimize boot process, by disabling unwanted applications from auto start, this will improve the boot speed significantly. 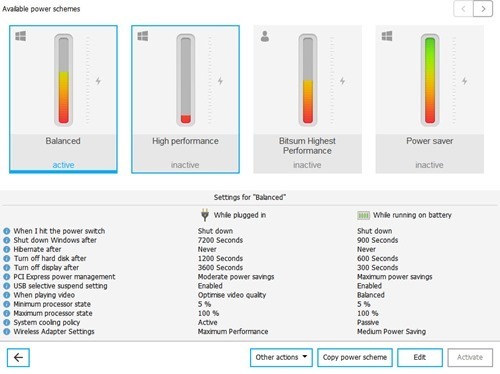 manage energy schemes, this can be handy for laptop users. while cleaning the browser cache and other things make sure you have closed any instance of the browser. 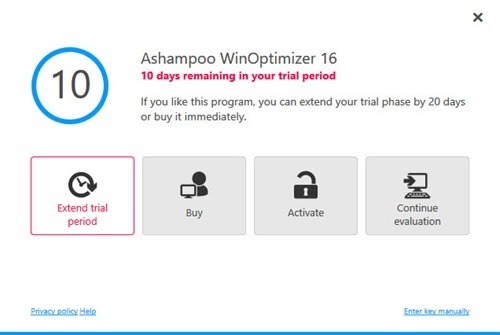 We have 5 full version licenses of Ashampoo WinOptimizer 16 for our readers, Thank you Angela. Note: We are using gleam to conduct the giveaway and we will be using option available on gleam to select winners. Normally we do not wait for response from winners to send keys, but we are not receiving any response from any of the winners which does not look good. So from this giveaway all winners will have to respond to us to get the license with in 2 weeks time. Otherwise we will select new winners and will send keys to them. Win a Free full version license of Ashampoo WinOptimizer 16 worth $39.99.